What is our system of health care for? Is it just another commodity, as this country has essentially handled it apart from the federal programs that cover the poor, children under 18 and the elderly? Or, is it meant to deliver an essential service to a nation’s people, understanding that the nature of this service will at all times be complicated, capricious and never profitable? Many health-care professionals who were educated and trained in the 1970s and 1980s have watched, appalled, at how the wealthiest nation on earth has allowed its citizens’ health to be hijacked by an enormous, for-profit infrastructure. It is popular to blame all the woes of our health-care wallets on the 2010 Affordable Care Act. This is a vast oversimplification. The best element of the ACA eliminated the longstanding discrimination by insurers against the sickest and most fragile Americans, many of whom were rendered uninsurable at birth or in their youth by conditions over which they had no control. Secondly, the ACA stopped the arbitrary practice of pre-existing-condition cherry-picking for the insured seeking new health coverage. Finally, it offered a needed expansion of Medicaid to low-income working adults without children. However, by letting insurers raise premiums unchecked to “make up for” the burden of covering all of the above, the law has added to rising costs. Our problem originates with the implementation of the computerized coding systems 30 years ago that transformed how those in the non-medical-professional health-care industries categorized medical illness, prevention and the value of the services of individual doctors and hospitals. The first of these systems, the CPT codes, was developed in 1966 by the independent physicians’ group, the American Medical Association, to standardize how individual physicians billed health insurers for their services. In 1983, the federal agency HCFA adopted these codes for billing Part B Medicare services and, in 1987, outpatient surgical services. HCFA also developed a new series of codes for paying hospitals, called the DRGs, or “Diagnosis-Related Groups,” which it began using in 1983. With DRGs, a hospital receives a fixed payment for a specific diagnosis, no matter the length of stay. In 1987, the DRGs were adopted as the payment system for privately insured patients as well. Organizing all of the provisions of our country’s health-care services into a system of codes to streamline payment for services also created an organizational structure for payers to compare apples to apples for every one of the tens of thousands of these codes. Over the 1990s, a pattern of competition emerged among insurers to drive down reimbursements for less valuable codes such as an office visit in favor of high-revenue-producing procedures such as elective outpatient surgery. Hospitals caring for the sickest and poorest patients were labeled as providing “low-quality care” and many closed. By the mid-1990s, the number of American medical students choosing careers in primary care medicine — i.e. pediatrics, family practice or general internal medicine — plummeted. Concomitantly, the non-medical infrastructure of insurers took off, and, in the roaring ’90s, these executives started to command salaries far exceeding those of many of the medical personnel actually creating the “product.” This trend continues. In 2014 alone, the CEO of the U.S.’s largest private insurer, UnitedHealth Care, made $66.1 million. Ironically, last year UnitedHealth also began to threaten that, since it was losing money providing a low-cost product on the ACA’s health insurance exchange, it may pull out. The current system of regulations has no mechanism to stop this. In addition, the nation’s five largest health insurers, accounting for more than 80 percent of the market, are gearing up to consolidate into three large carriers; UnitedHealth Care, and the merged insurers Aetna-Humana and Anthem-Cigna. When, in the history of American business, has a monopoly been good for the general public? Physicians for a National Health Program was founded in 1986 by a group of insightful health-care professionals who correctly predicted how the future would unfold. At the end of 2015, it counted 20,224 members and is growing steadily. The Nevada chapter was established last fall and we encourage anyone who is interested to visit the website at www.pnhp.org. Rather than “socialized medicine” we advocate pragmatic discussion, free of partisan politics, about the need for a nationally funded basic health insurer not focused on corporate profits. Twenty years of statistics show this will be far more sustainable than our current system. We all deserve better. 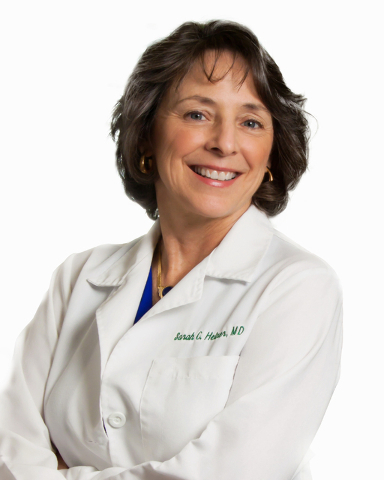 Sarah C. Heiner, M.D., is a general internist who has practiced primary care medicine in Clark County since 1986. Solely, or with partners, she has run her own business for 27 years. She now lives and practices in Henderson. Dr. Heiner is a graduate of Northwestern University’s honors program in medicine and trained at Mt. Zion/UCSF Hospital in San Francisco.